Irma Morin has served the Community Council of Idaho, Inc. for over 25 years and has been the executive director for the last eleven years. Previously, she served as finance director for 10 years and as an accountant for four years. She has a Bachelor of Science in accounting from Boise State University in Idaho. Irma has been married to her high school sweetheart, Anthony Morin, for 21 years and is the proud mother of three kids (Amadeo, Victoria, and Frank). Irma was born in Caldwell, a daughter of former migrant farm workers and as a child participated in migrant head start with CC Idaho. Currently, she serves as treasurer for the Board of Directors for MAFO — a national partnership of farmworker organizations. 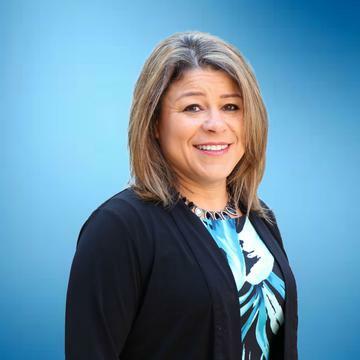 She is also vice president of the board the Western Alliance for Farmworker Advocates (WAFA), treasurer for the Idaho Hispanic Caucus, and she is a member of the Affiliate Council of the National Council of La Raza (NCLR). Irma is responsible for leading the organization through its future revitalization project at El Milagro Housing Project — an affordable housing community for 104 low-income families in Twin Falls; integration of the YouthBuild grant for the renovation of El Milagro Housing; development of a Community Center in the City of Burley, and the restructuring of the administrative office, El Mercado, to ensure its future sustainability.